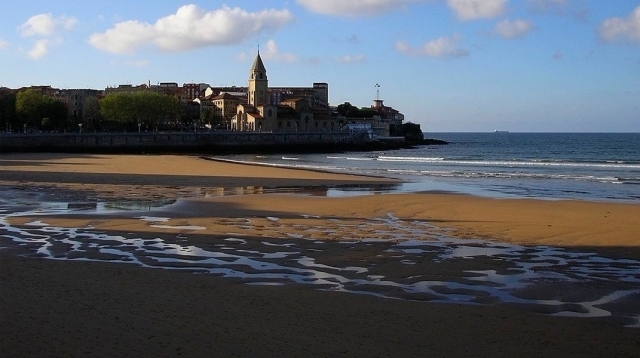 What beaches to visit if you travel to Santiago de Compostela? 👣 What beaches to visit if you travel to Santiago de Compostela? The Camino de Santiago is to explore, to leave our comfort zone or to test our limits, but above all it is to enjoy; well alone, well with ours, of our precious free time. To be a pilgrim is not only to walk, but to merge with what surrounds us and breathe deeply, an experience that we can also experience on the northern coast of the Peninsula, where some of the best beaches on the Camino de Santiago are hidden. To travel the Jacobean route is to discover paths and magical corners that we would have never trod in another way and if we choose some routes that run parallel to the coast, such as the Camino del Norte, the Portuguese Way along the coast or the English Way, we can also meet with some dream beaches. If our steps take us near them, it is well worth the pilgrim's time to stop and take a break and enjoy them, no matter the day of the year. 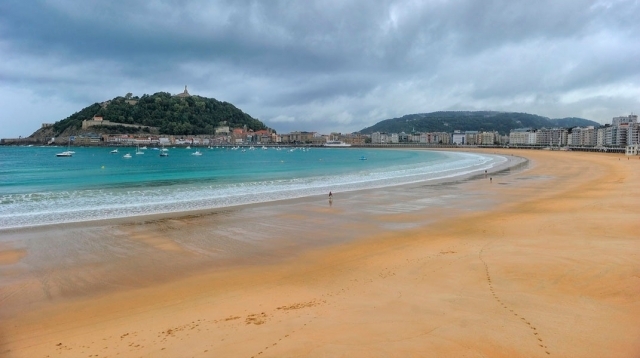 La Concha Beach is a pride of San Sebastian, year after year chosen among the ten best beaches in the world, and the best in Spain, according to the list that each season publishes TripAdvisor (according to the ratings of its users). It is the first beach on the Camino del Norte that pilgrims will be starting from Irún and one of the most striking beaches that at first glance you can find. The beach of Zarauz, clean and wide, invites you to stroll calmly at low tide along its shore and contemplate it taking something in its numerous terraces. 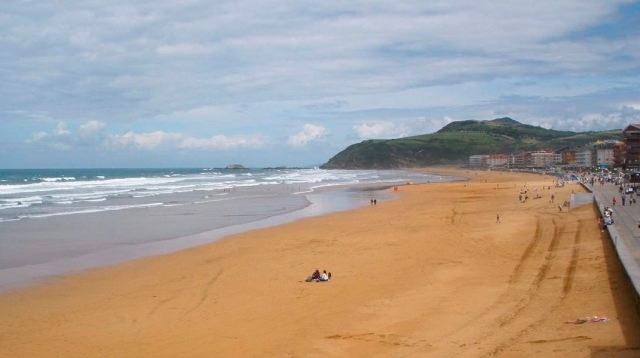 The beach of the Guipuzcoan town of Zarauz lives intensely the surf culture, attracted by its intense waves, although it is also perfect for families and it looks beautiful even in winter. Enjoy all the services you may need and it is very comfortable, its amplitude, especially at low tide, makes us never feel tight. 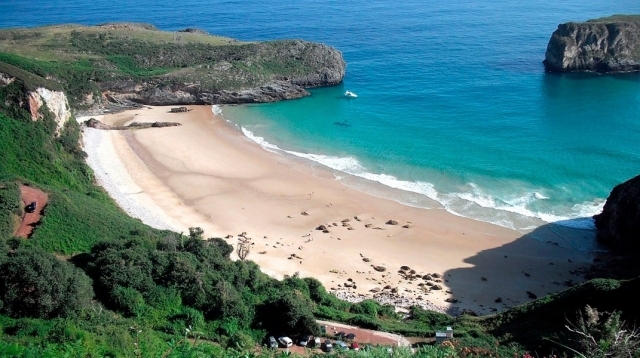 In the East Coast of Asturias we will find the paradisiacal beach of Andrín, with white sand and transparent water, which seems to transport us to the Caribbean, perfect for surfing or relaxing eating in that snackuito. It is a good example of the incredible beaches that can be found in the council of Llanes, where you can discover also more wild and less frequented than Andrín. The beach of San Lorenzo, in the city of Gijón, of fine golden sand, is one of the best urban beaches in Spain (and also the most popular) and without a doubt one of the most emblematic of all Asturias. With a wide sandy beach at low tide and 1,550 meters long, San Lorenzo beach is perfect for walking, playing sports and taking the first steps in the world of surfing. 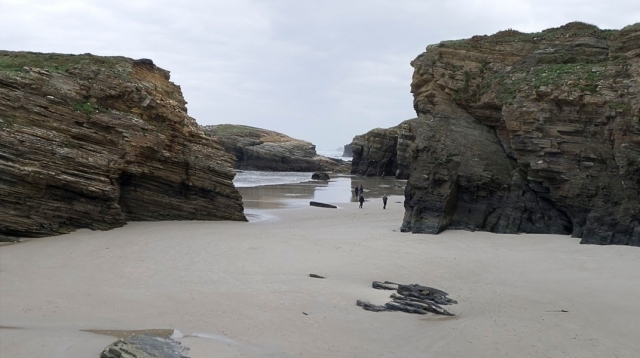 The beach of Aguas Santa, also known as the beach of the Cathedrals, is located in the Galician town of Ribadeo (bordering Asturias), on the north coast of Lugo. It is one of the most emblematic tourist destinations in Galicia and explains its nickname for the similarity of its many rock formations with Gothic cathedrals, sculpted by wave of the Cantabrian over time. This well-known beach of Ribadeo enjoys the distinctive blue flag (data of 2018), as other beaches in the town, such as Os Castros-Illas and each year is chosen among the 10 best beaches in Spain, according to several public listings. This long beach of fine sand in Nigrán, in Pontevedra, is perfect for practicing all kinds of outdoor activities, with several kilometers to walk with total peace of mind when the tide is low. 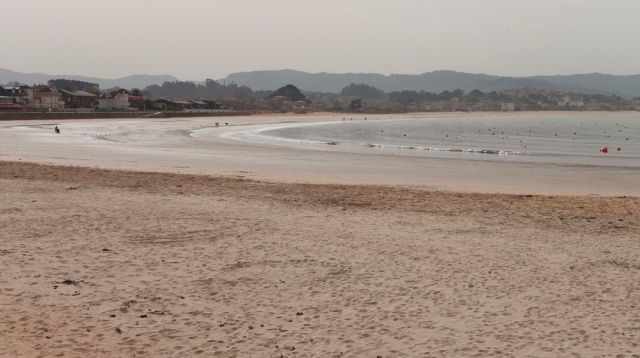 Like other beaches in the town of Nigrán (Panxón and Patos) it has the blue flag (data of 2018), which recognizes public and citizen efforts to comply with legality, accessibility, health, environmental education, cleanliness and beach safety. Like other beaches in A Coruña, such as Orzán-Matadero, San Amaro, Oza or As Lapas, Riazor beach has a blue flag (2018 data). 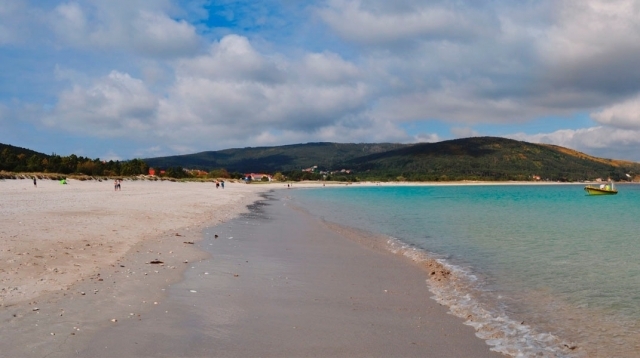 However, A Coruña is one of the Spanish cities with the most beaches with this distinction. 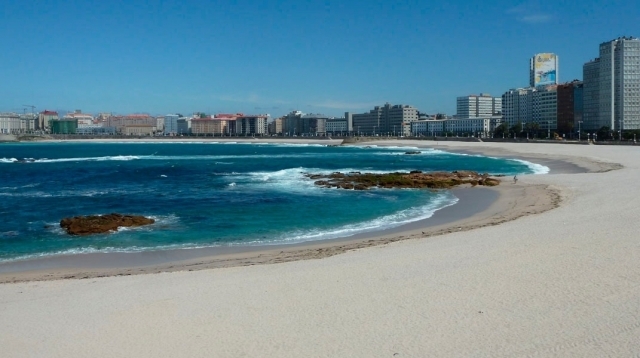 The well-known beach of Riazor, next to the Orzán beach, is located in the center of the city, and in it we can take a good dip before starting the Camino Inglés, the only Jacobean route that reaches Santiago de Compostela from the North. In the surroundings of Finisterre we find one of the best beaches of the Atlantic coast of Galicia, the beach of Langosteira. Its conditions are unbeatable: clean, with fine white sand, little crowded and wide, to be able to walk and practice all kinds of outdoor activities before trying to take a bath in its crystal clear (and cold) waters. An unbeatable option for pilgrims to finish the Camino de Santiago in Finisterre and reserve one or two more days to rest before returning home.